IWASSA Co.: What programming language should I start racing to learn? How much time do I need to professionalism? What programming language should I start racing to learn? How much time do I need to professionalism? Of the more questions Atousel out, what programming language that would never recommend Ptalmha, of course, the answer to this question is difficult, because each programming language based on the target you want to hit him through learned, for example, if you want to learn web design is most likely the language (c) will not be a programming language that you must begin Ptalmha. For this before ask yourself the question What programming language that should never Ptalmha? Ask yourself what is the goal that I want to make him out after learning this language? Is web design? The design of Web applications? Or applications running on Windows, Linux, or as well as Mobile app? 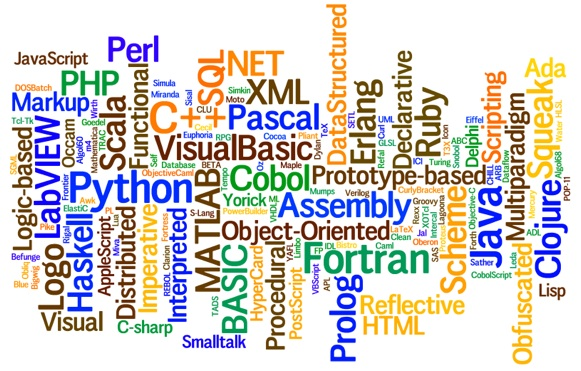 Of course the answer to these questions will make you identify any programming language you have to learn it. For example, if you aspire to SSL Here, dear, you must begin to learn programming languages ​​such as (CSS) and (HTML) and also (PHP), (Java script). But if your goal embarking on the design of smart phones such as Android applications, in which case it becomes necessary for you to learn the language of java Gaڤa If you are interested in developing iPhone applications you start learning the (Objective-C). If you are interested in writing codes Astalal security gaps, here you have to embark on learning Python and the language (Ruby). As noted, learn programming language remains to be accepted by specifying the objective of learning, and even looking that this language was still unpopular or she has become unused. But on the whole remains to time limits for several programming languages ​​You can start out as a beginner, for example, the language of c, c # java, Python and Ruby and perl, programming languages ​​are very popular and are required as well. I advise you to start over as the language of Python because it remains the easiest and fastest way to learn where you can then Moror to other programming languages.